Click on a picture that you know the words for. Click on the matching words. If you are right the picture and writing disappear. If you are wrong you get a wrong sound, and can try again. The standard pelmanism game that you play with cards relies on remembering where certain cards are located without being able to see their faces. This interactive version is a little different in that you can see all the "cards" from the start. The aim then is to match each picture to it's corresponding Italian vocabulary item. This version of pelmanism is a one player game to learn or revise Italian vocabulary. 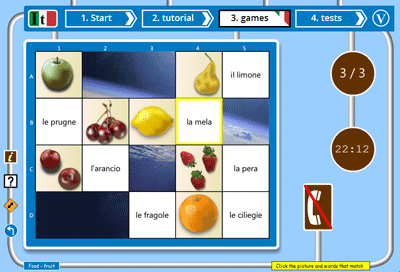 Our pelmanism for Italian is a timed game - play a few times and set a personal best time! You can switch the Italian audio on or off throughout the game using the telephone button. You see all the pictures on the screen from the start. Select the Pelmanism game from the games selection page. The Italian audio is switched off but you can switch it on by clicking the brown telephone button. The audio will play when you roll-over any text. Select a picture by clicking on it. Now click on the Italian text that matches the picture you have selected. 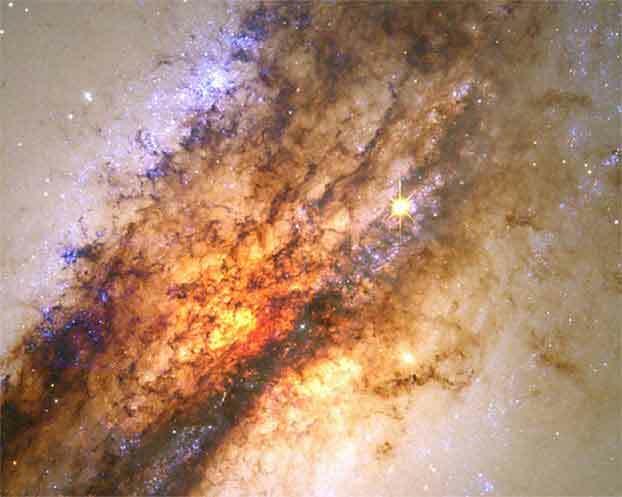 Correct matches remove both the picture and the text revealing parts of a large picture beneath. Continue matching pictures to vocabulary until you have cleared all the cells and revealed the big picture. Upon completion, you can choose an option from the green sign.